Sometime things changes for you in one single day, with some activity or act. This is the recent condition of the company named “Ringing Bell”. 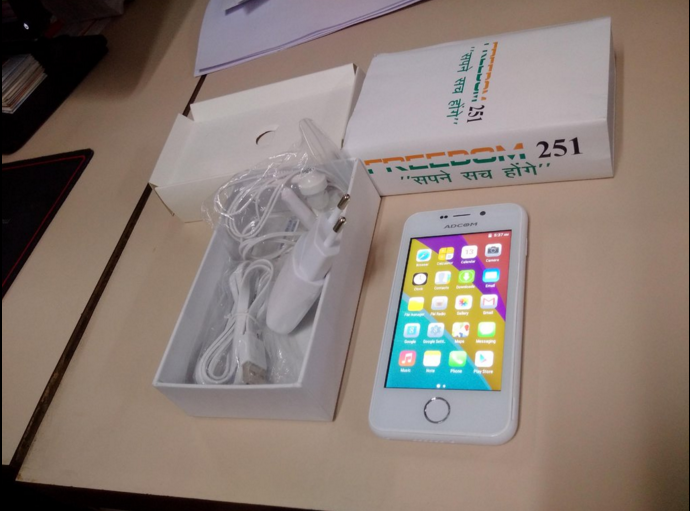 Yes you heard it correct a company behind World’s cheapest Smartphone “Freedom251”. Two Days back (till 16th Feb, 2016), few only know about the company (hopefully only the employees and its suppliersJ), and just a single announcement and they have created the buzz all around the world. They launched a Smartphone just for INR 251 Only, yes you read it correct just for 4 $. The specs shown on the papers are quite a decent and might change the industry of the mobile phone if they stay’s at this price. As the company has given the prices of the Smartphone in such a way that anyone will be amazed, cauz the standard price of the Smartphone currently being soled in market with other vendors are of around 3000/- INR with the almost same specs. So, the next question comes in the picture, how “Ringing Bell” reach that awesome prices point? So, today in this post will try to find out how they have reached to that prices point. According to Ashok Chadha of Ringing Bells, “they are working on a variety of cost-saving factors to keep the cost of the devices lower than its standard costing in the market, which is approximately 3000 INR”. They assemble the phone in India and that save them around INR 400. Large-Scale sourcing saves around INR 400 to 500. Online sales with no-ground staff, that helps them to save around INR500. Rest of the savings comes from an online marketplace that they have created on their website by allowing other companies on the platform. These points shows some good reasons for the price cut, as a consumer I am will be satisfied if company gives the Smartphone in this price range. With hope that we don’t face any surprises in this case, we at App Gyaan will suggest customer to go ahead and buy the device. Do Share you suggestion and feedback in comment section below.